Build a great kingdom along the rivers of Tigris & Euphrates. Become the most powerful Samurai in feudal Japan. 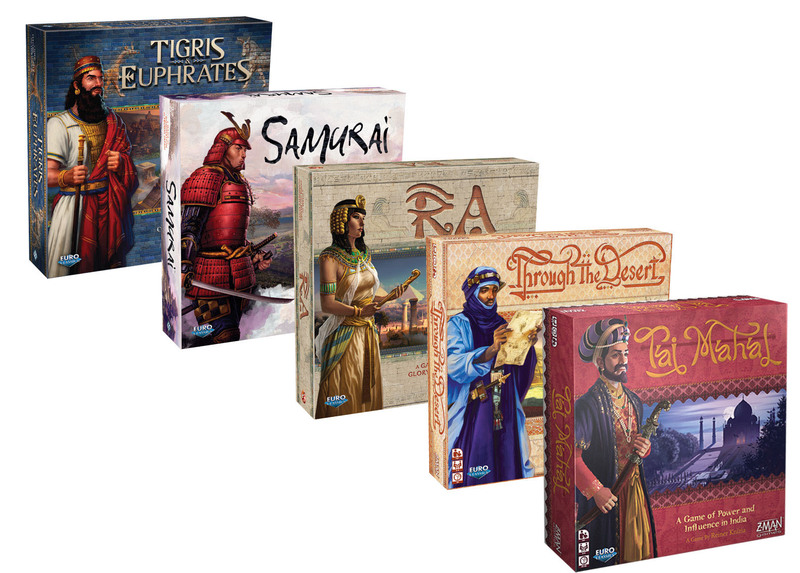 Lead your dynasty of Egyptian pharaohs to eternal fame under the Sun God Ra. Send your caravans Through The Desert to expand your trading empire. Or compete for the favour of the Grand Mogul in Taj Mahal.